Fellow Svengoolie SvenPals will be excited about his upcoming big broadcast of a classic Columbia Pictures thriller from one of the macabre cinema legends. The legendary Berwyn/Chicago-based horror film host will present his big coast-to-coast broadcast premiere of “13 Ghosts” (1960), this Sat., Oct. 27 at 8 p.m. Eastern/7 p.m. Central on Me-TV. “13 Ghosts” (1960) was directed by veteran thriller/horror director William Castle, who directed many cult classics including “House on Haunted Hill” (1959, w/ Vincent Price), “The Tingler” (1959, w/ Price), “Mr. Sardonicus” (1961, w/ Oscar Homolka) and “The Night Walker” (1964, w/ Barbara Stanwyck, Robert Taylor and Hayden Rorke). The screenplay for “13 Ghosts” was written by veteran Castle screenwriter Robb White. Sven previously aired the 1960 Columbia/Castle thriller locally on his hometown station, WCIU-TV (“The U”) back in Nov. 2009 (according to IMDB). According to fellow super SvenPal David Fuentes and his official “Terror From Beyond the Dave” YouTube site, when WCIU’s sister station, Me-TV was a local classic television station seen on Weigel Broadcasting’s Chicago and Milwaukee stations around 2010 (shortly before Weigel expanded Me-TV across the country for many local TV stations’ sub-channels from coast-to-coast). Sven also had a 2011 re-broadcast of “13 Ghosts” on Chicago’s WCIU (according to David Fuentes’ official YouTube site). Who was in “13 Ghosts” (1960)? 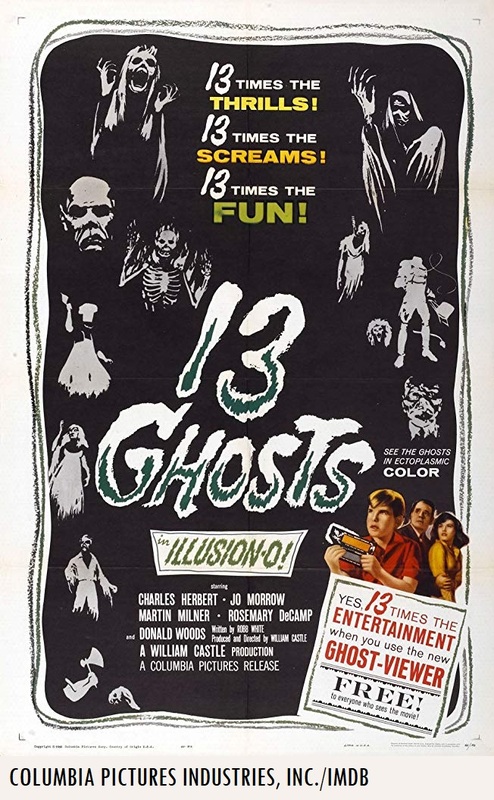 In addition to an on-screen cameo appearance by Castle, the players who appeared in “13 Ghosts” (1960) were Charles Herbert (as Buck Zorba), Jo Morrow (as Medea Zorba), Martin Milner (as Benjamen Rush), Donald Woods (as Cyrus Zorba), Margaret Hamilton (as Elaine Zacharides), John Van Dreelen (as Van Allen), Jeanne Baker, John Burnside and Roy Jenson (in uncredited roles as “ghosts”). Fellow fans of Svengoolie and cult cinema will be excited this weekend when he will showcase a 1977 thriller that was released by Universal. 1977 Universal Studios trailer for “The Car” (1977). 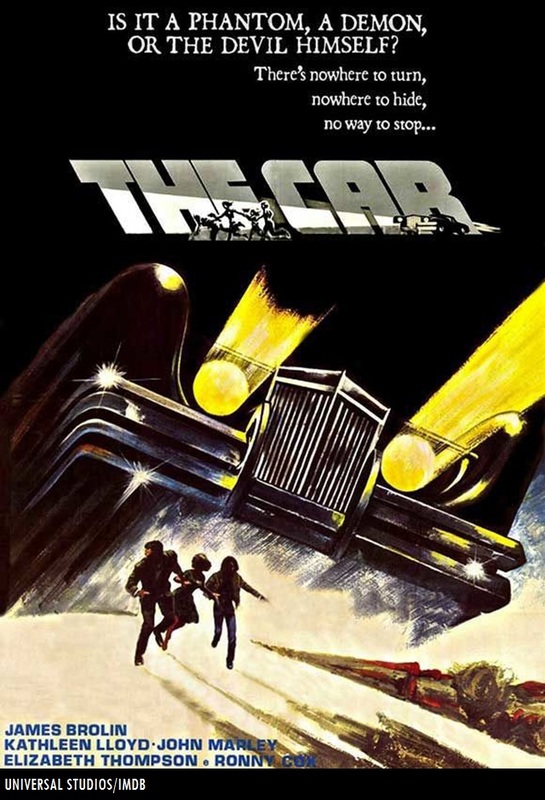 The iconic Berwyn/Chicago-based horror film host will be showcasing “The Car” (1977) this Sat., July 8 at 10 p.m. Eastern/9 p.m. Central on Me-TV. Sven had previously shown “The Car” on Me-TV back in Dec. 2011 (Me-TV was unavailable in the Frederick/Washington, D.C. television market until early 2013) and April 2016. The film was directed by Elliot Silverstein, who also directed “Cat Ballou” (1965) and “A Man Called Horse” (1970). Silverstein would later direct four episodes of the HBO horror anthology series, “Tales from the Crypt” (1991-94, which was inspired by the 1950s EC comic book series of the same name). The players who appeared in “The Car” were James Brolin (as Wade Parent), Kathleen Lloyd (as Lauren), R.G. Armstrong (as Amos), John Marley (as Everett), Elizabeth Thompson (as Margie), John Rubenstein (as John Morris), Kim Richards (as Lynn Marie), Eddie Little Sky (as Denson), Roy Jenson (as Ray Mott) and Ronny Cox (as Luke).